We invite our friends in the Ludington and Mason County area to tune into News 98 WLDN – FM 98.7 to hear our own Janet Perreault share how as little as $20 can mean the difference between breaking down the barrier to independence or remaining reliant on others. Yesterday, she had the opportunity to talk about our Small Changes, Big Differences training program, which offers individuals living with disabilities a gateway to autonomy and makes independence achievable. Tom* served his country in the United States Army, sacrificed his time and was left to his own devices after enduring life-altering injuries to his face, neck and back. Following surgery, Tom was referred to the Veterans Administration, but due to the extent of his disabilities, the VA was not able to help. Confronted with a daunting journey to recovery, he was filled with anxiety, frustration and hopelessness when dealt a glimpse of a future that he felt was marked by isolation and dependency. 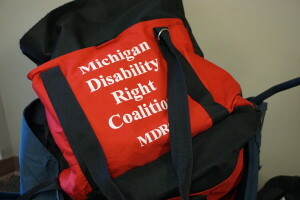 But a newfound hope surfaced following the VA’s referral to Disability Network West Michigan. DNWM has since been instrumental in assisting Tom to vocalize his needs through the one-two punch of advocacy and outreach. We have served as a mechanism to break through the barriers that kept independence out of reach. We connected him with Hope Builders, a local nonprofit, who provided free labor to repair the flooring in his home so that his power wheelchair wouldn’t break through. We are providing transportation vouchers so that he can purchase fuel to attend medical appointments, visit family and remain active in the community. After Tom nearly fell from his wheelchair at the VA office in White Cloud, DNWM advocated on behalf of all wheelchair users for the curb to be repaired. The fix was completed within two weeks. 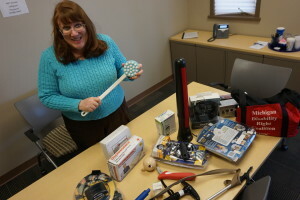 The team found and delivered assistive technology to make completing daily activities independently possible. We leveraged relationships to secure deliver a donated roll-in shower to Tom’s home. Our staff collaborated with a local motorcycle group, which supports veterans, to acquire firewood to heat Tom’s home. Critical repairs were made to the front end of Tom’s truck so he could make appointments at the VA hospital. 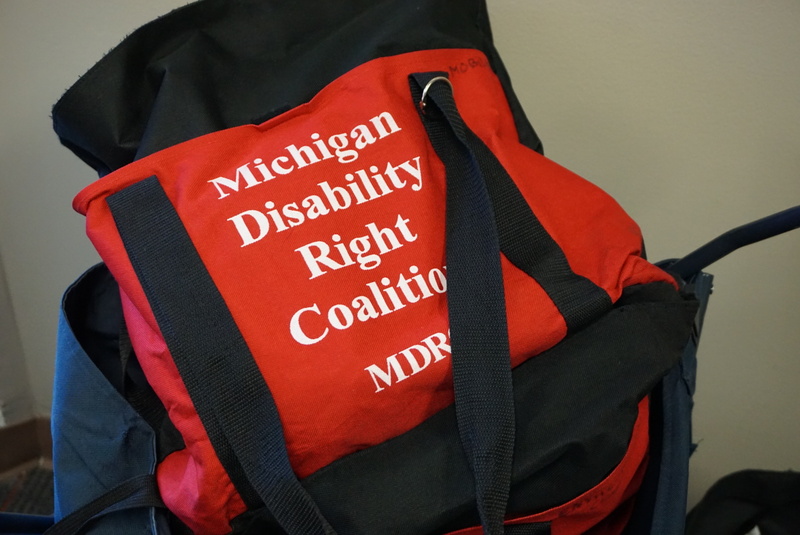 Disability Network West Michigan continues to assist Tom and all of our consumers in the pursuit for independence with the assistance of outstanding community partners. If someone you know who is living with a disability would like to gain their independence back, contact us today to learn more about our organization, the services we provide and how we can help. *The actual name of the veteran has been safeguarded at his own request. Please click on the link below for details about Disability Network West Michigan Executive Director position.